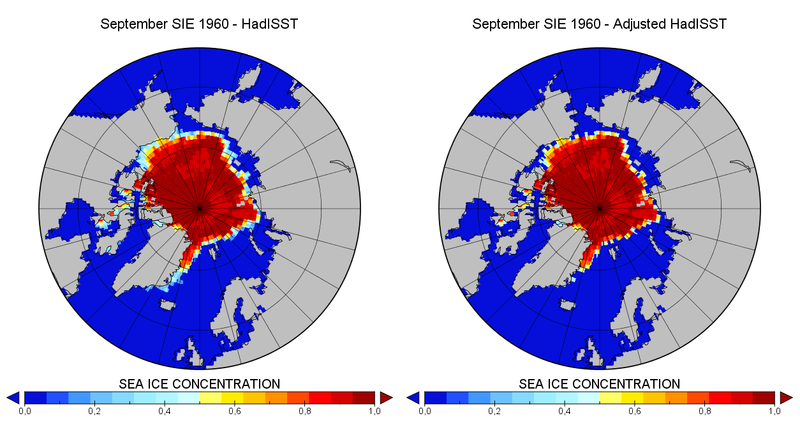 Since 1979 satellite-borne passive microwave sensors have provided a continuous and consistent record of Arctic sea ice extent. This record shows a significant downward trend, particularly at September, when Arctic sea ice reaches its annual minimum. Records before 1979 exist, but are not consistent with the satellite record and have limited reliability, specially before 1953. We present a new time series of September Arctic sea ice extent from 1935 to 2014 that includes data for the Siberian sector (AARI operational charts) not used previously in the Arctic wide existing time series (Walsh, HadISST). The new record has been adjusted to be consistent with satellite data. The trend for 1935-2014 is -3.5% decade, while the trend for the satellite era is -13.3% decade. However, the trends since 1935 until early 1980s are positive and statistically significant. The trends turn negative in the 1990s, reaching statistical significance from 2006 onwards. The lowest annual minimum in the pre-satellite era is higher than any annual minimum after 2001. 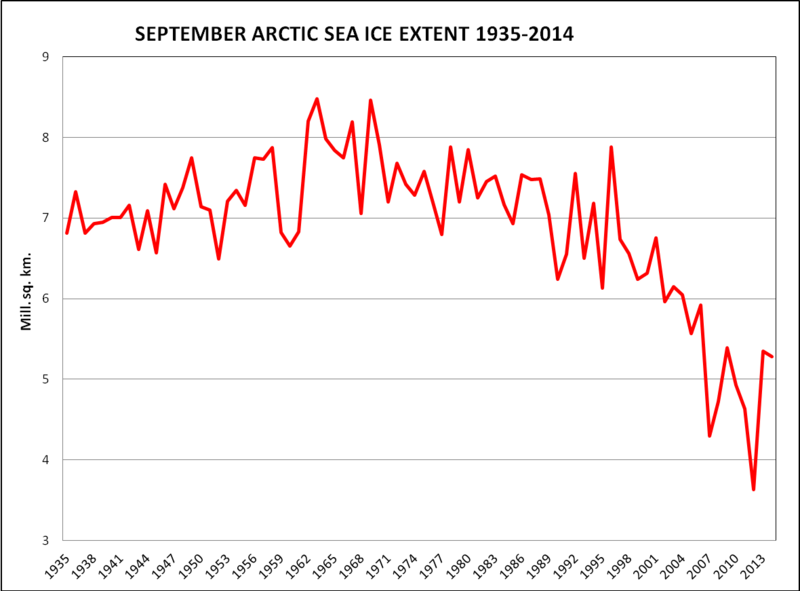 Arctic sea ice concentration for September 1960. Left: original HadISST. 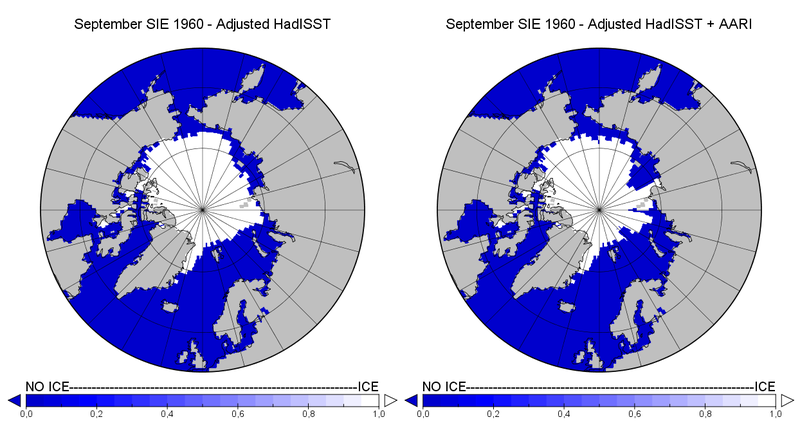 Right: HadISST after the adjustment to match the satellite data. 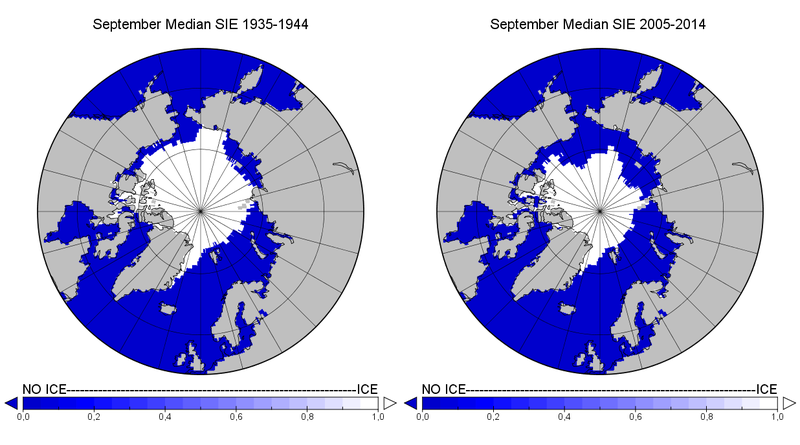 Arctic sea ice extent for September 1960. Left: adjusted HadISST. Right: adjusted HadISST + AARI. 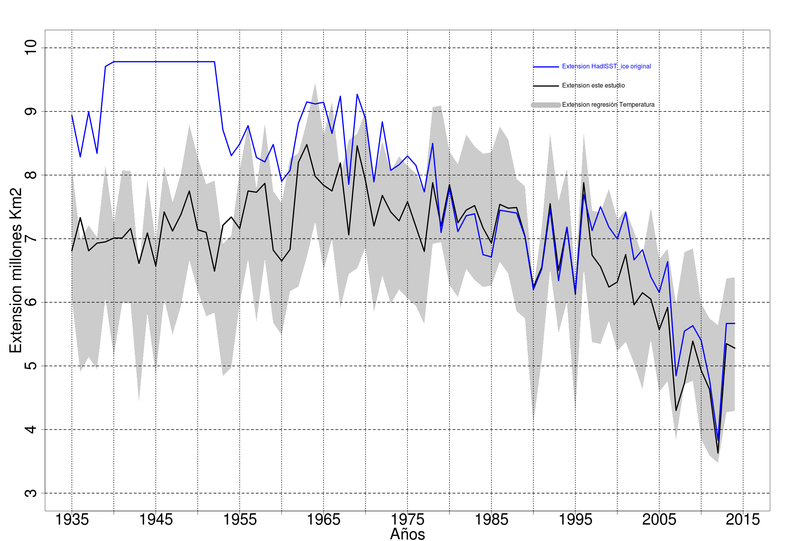 Left: September climatology for the 1935-1952 period . 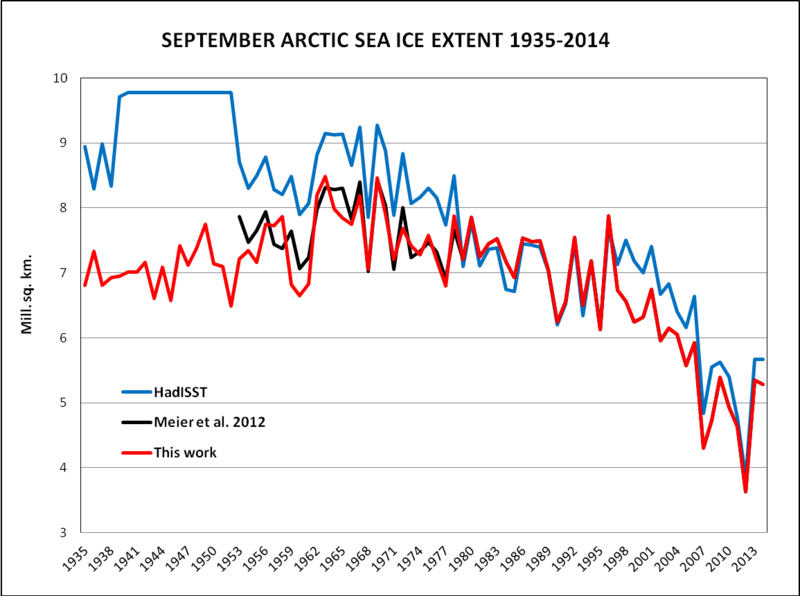 Right: Arctic sea ice extent for September 1952, after the incorporation of AARI data into the climatology. Cea-Pirón, MA and Cano-Pasalodos, JA (2016): Nueva serie de extensión del hielo marino ártico en septiembre entre 1935 y 2014. Rev. Climatol., 16: 1-19. Connolly, R., Connolly, M., & Soon, W. (2017). 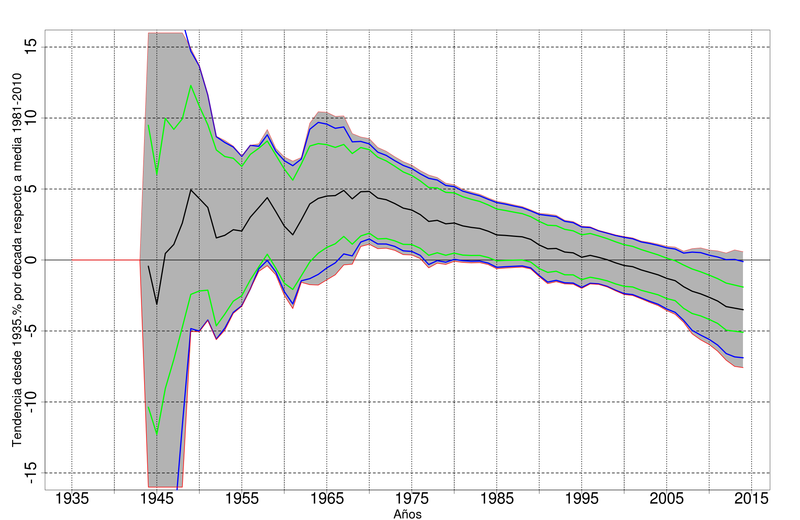 Re-calibration of Arctic sea ice extent datasets using Arctic surface air temperature records. Hydrological Sciences Journal. MUELLER, Bennit L., et al. 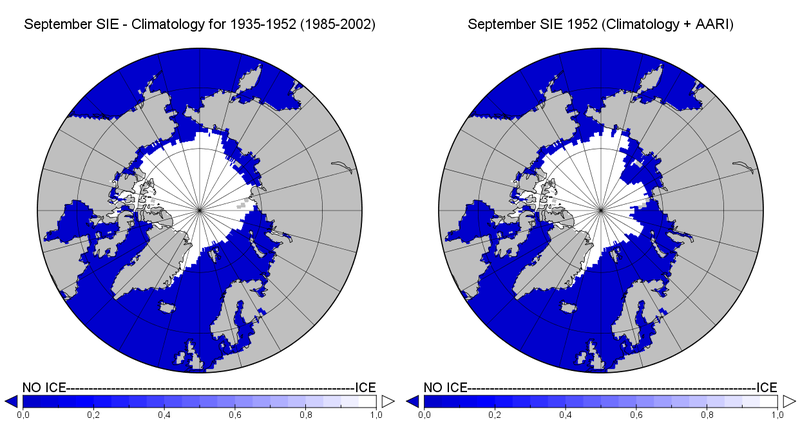 Attribution of Arctic Sea Ice Decline from 1953 to 2012 to Influences from Natural, Greenhouse Gas, and Anthropogenic Aerosol Forcing. Journal of Climate, 2018, vol. 31, no 19, p. 7771-7787.